PARTICPATE IN OUR SOCIAL BOUNTY/AIRDROP! Blockchain and cryptocurrency are in their infancy stages and promise to reshape the way finances are spent and transferred globally. The invention and implementation of new processes, services and products will bring these ideas mainstream and will eventually replace money as we know it today. Although buying and exchanging cryptocurrency for personal spending and asset trading is becoming easier it is still in need of several significant improvements. The VegaWallet platform provides a complete solution. The project comes in several phases with answers to each problem mapped out along the way. Our Wallet, Exchange and VegaPay provide a complete and secure solution to streamline a customer’s crypto journey. No other company offers a solution to identified problems as thorough and all encompassing as VegaWallet does. VegaWallet integrates the latest security technology and focuses on maintaining a clean user interface. An advanced payment gateway for paying with crypto anywhere and anytime, even at places or websites that do not yet accept cryptocurrency. This will be further supported by a Point of Sale Systems which will allow every business from small mom and pop shops to huge internet retailers to incorporate the use of cryptocurrency without any significant fees. Customers of these shops will even be able to buy cryptocurrency at check-out with traditoinal payment methods. Our native VegaWallet Token allows for lower fees and faster transfer times. This technology combined with our advanced platform will allow effortless movement of cryptocurrency for customers to maximize opportunities and profit. The VGW token will also be the backbone of our Loyalty and Rewards Program and Point of Sale System. VegaWallet employs military grade tested server security along with our state of the art exchange technology to deliver a simple and safe to use cryptocurrency exchange. Our first trading pairs offered include BTC, LTC, ETH, and VGW. We will be listing tokens in increments beginning right after launch and our “List-A-Coin” program will allow new tokens to apply for listing on our exchange. VegaWallet will also hold public votes for exchange listings and remain completely transparent with our listing policies. Version 1.0 has full support for BTC, LTC, ETH, and VGW. 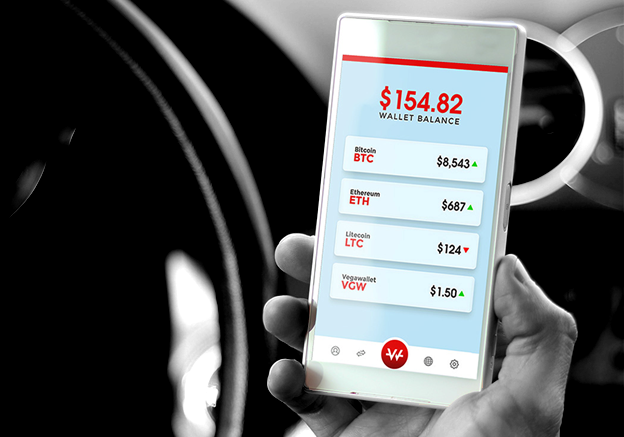 The Wallet displays real time price updates and logs all account data and history for users to easily keep track of their funds. Options for Sending and Receiving (and Exchanging) are built into the Application. The Application will be available for download shortly on the App Store and Google Play. Accept Cash, Credit, Debit, and Many Major Cryptocurrencies! Offer Cryptocurrency based loyalty programs to your customers! Offer to pay a percentage of your employee’s payroll in cryptocurrency! Studies show that this will boost crypto adoption and promote everyday spending of digital assets. Keep track of your progress and monitor sales, transactions, traffic, audit history and more! Sell Cryptocurrency Right in Store! Businesses can now make a commission off selling cryptocurrency from the VegaWallet Exchange or you can even sell straight from your Enterprise wallet to customers in your store at check out! This technology works just like a gift card! We then introduce VegaPay, now users can go spend their cryptocurrency ANYWHERE! Our system automatically does the switch from crypto to fiat for you right at the payment terminal! Just show up at your favorite store, get that new shiny watch you wanted, Click on VegaPay and scan your phone at the terminal! Modern Smartphone enabled NFC technology makes all of this possible. *Soft and Hard Cap were developed at ETH price of ~$600. VegaWallet reserves the right to hold a vote of investors to change the soft and hard cap before the end of Phase 3 of our Public Sale. All prior acknowledgement of this statement is included in our white paper. VegaWallet’s Exchange and Mobile App are already developed and will be brought to the market independently of the public sale success. Full funding and finance breakdown is included in our white paper for public viewing! All Founders tokens will be locked for increments of 3 and 9 months after our Public Sale ends. Users can also purchase VGW Tokens during our ICO on the LAToken platform as well! Featured as our Main Trading Pair – Provides 50% Discounts! VegaWallet has partnered with several companies to improve functionality of our platform and to further reach our goal of mass adoption! View Our Full Team in our White Paper! 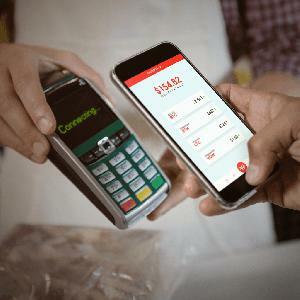 VegaWallet Looks To Serve Unbanked Communities and Untraditional Business Models. 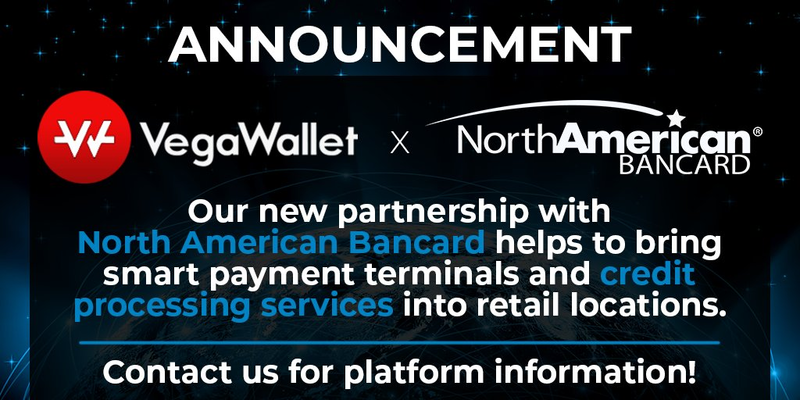 VegaWallet provides a cold and hot storage wallet, simple exchange, point of sale system, and NFC mobile payment solution. More Detailed Information on Funds Raised and Further Development Will Be Released After Our Internal Audit!